I delved into the world of computer graphics about 12 years ago, and have been hooked ever since. I've been creating tags for about 11 years, writing tutorials for 5 and creating scrap kits for 3. In addition to designing scrap kits, I also participate in Renaissance Faires, and perform in various venues featuring Middle- Eastern dance. Thank you so much for this post. 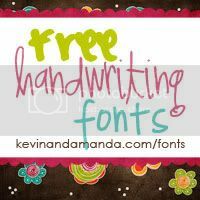 I want to let you know that I posted a link to your blog in CBH Digital Scrapbooking Freebies (please, notice the new url for my blog), under the Page 5 post on Aug. 10, 2012. Thanks again. 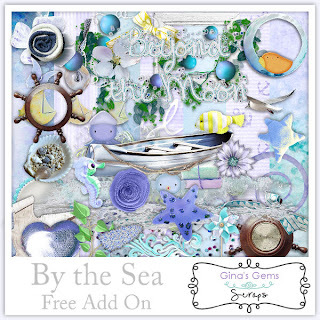 Thank you for the beautiful add-on items which coordinate with your "By the Sea" kit. They are beautiful. Thanks! If you are a tutorial writer and/or make layouts, and you'd like to receive my PTU Kits FREE, please send me with the link to your site and/or an example of your work to ginasgemsscraps@hotmail.com. Please put CT in the subject line and I will get back with you ASAP!